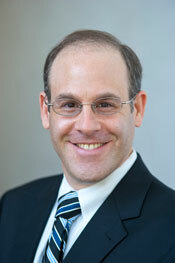 Congratulations to Jeffrey Reznick (PhD 1999) for his new appointment as Chief of the History of Medicine Division of the National Library of Medicine at the National Institutes of Health. Previous to this appointment he was Deputy Chief and then Acting Chief of the History of Medicine Division of the NLM, and has an extensive background in the social and cultural history of medicine. He has also served as senior curator at the National Museum of Health and Medicine of the Armed Forces Institute of Pathology, Executive Director and Senior Research Fellow at the Orthotic and Prosthetic Assistance Fund, and as the assistant director of the former Institute of Comparative and International Studies at Emory. He is the author of John Galsworthy and Disabled Soldiers of the Great War: With an Illustrated Selection of His Writings (2009) and Healing the Nation: Soldiers and the Culture of Caregiving in Britain during the Great War (2005) as well as many articles on the history of medicine and war. 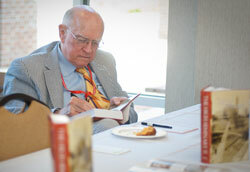 Dr. Reel signs copies of his new book, The High Seminary. Jerome V. Reel, Jr. (Ph.D. 1967) has received the South Carolina Humanities Council award for his outstanding service to humanities education and knowledge through his 48 years of teaching at Clemson University, his six books, several chapters in books, and a dozen articles for scholarly and popular magazines on historical topics ranging from 14th century Britain, higher education history, opera and general music history, to the effects of the Arthurian legend through music and popular festivals. Although retired since 2006, he continues to teach almost every semester at Clemson in response to student requests. His most recent book, The High Seminary: A History of the Clemson Agricultural College of South Carolina, 1889-1964 (June 2011) has sold its first printing; a second is at the press. Rebecca Shumway celebrates the publication of her first book and the birth of her son, Derek (Kwei). 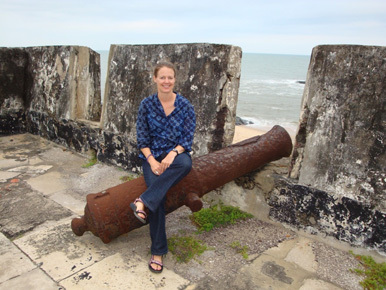 Rebecca Shumway (PhD 2004) has just celebrated two big events in her life: the publication of her first book, The Fante and the Transatlantic Slave Trade (Rochester University Press) and the birth of her son Derek (Kwei) Shumway Handley on September 14. We congratulate Rebecca on a highly productive and impressive year!